When the body experiences stress, injury, and overuse it creates a chain reaction of unbalance. Regular massage will help you to stay mobile, pain free, and to a life full of activities. I have a acquired a knowledgeable background and the ability to work on specific areas of the body and achieve results. My goal is to give you the tools to both prevent injuries and also aid in your own healing journey. 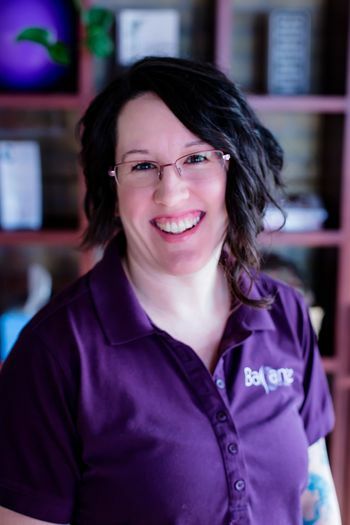 I have been practicing massage full-time in both a clinical and spa setting since graduating from Blue Sky School of Massage Therapy and Bodywork in 2014. My background is in manufacturing so I am well versed in the challenges that repetitive movements have on the body. I enjoy an active lifestyle that involves anything outside, running, biking, and martial arts. My families new passion has been Cross Fit. Though I have many different modalities of training, I specialize and enjoy doing specific work like Trigger Point, NMT, and Cupping. Every session is customized to fit the needs of each individual; anything from 60min of relaxation to 2 hrs of just neck and shoulders. My focus is on helping you achieve your goals.